With our own experienced team of fitters, we are adept at turning our hand to anything from a fitted kitchen facelift to a complete refurbishment, using quality rigid fitted kitchens and doors in a variety of different finishes. Solid woods such as oak, beech and maple or unfinished veneers which can be stained or painted in any colour to achieve natural effects or make a strong statement in the boldest primaries. For simple unfussy interior design there is also a range of vinyl doors available in a variety of colours. For added individuality there are also numerous door handles to choose from and an extensive choice of worktops ranging from laminates which are available in a multitude of amazing colours and textures, to solid woods, wonderful granites and fabulous Corian as well as the new solid surfaces such as Maia, Encore and Silestone. 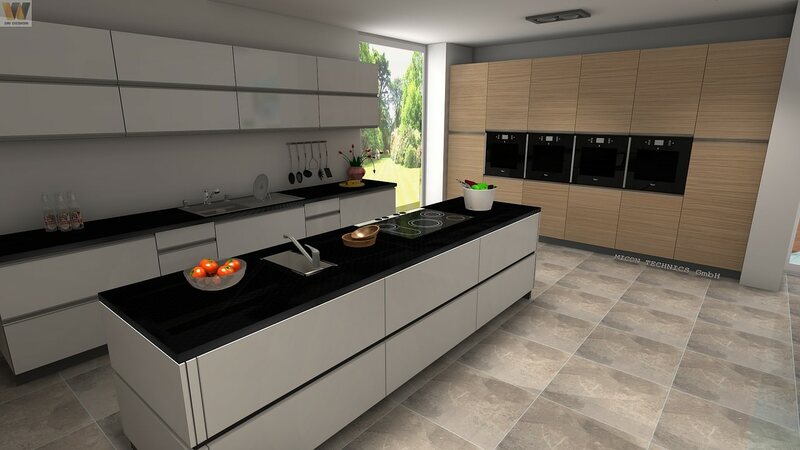 To compliment these tops there are also many different types of sink available such as models by Franke and Blanco available in stainless steel, ceramic or composites which can be inset or undermounted depending on the choice of worktop. It doesn’t stop there as then there is the tap to consider! And of course appliances from all the leading names e.g. Bosch, Neff and Franke. 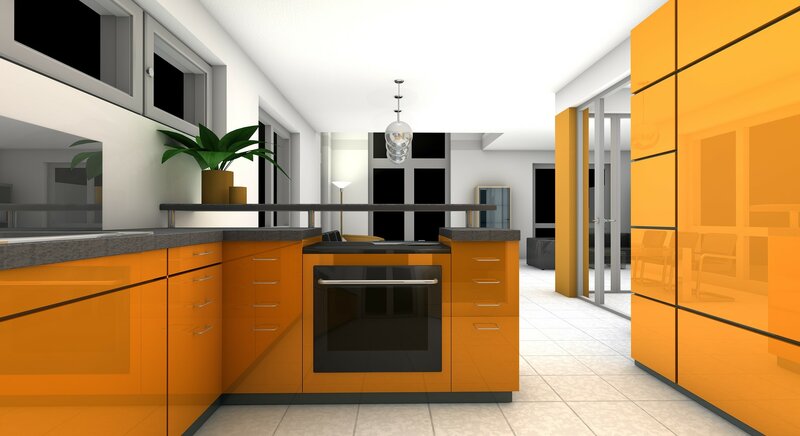 Custom made furniture fitted kitchens are just one option on offer. Fitted bedrooms are also available – again in a variety of wood or vinyl doors as well as a range of bespoke sliding door systems with a choice of designs in solid panels, mirrored or frosted coloured glass for a truly stunning look. Heath Interiors custom make furniture for every room in the house. Past commissions have included home office workstations incorporating shelving, desks, drawers and cupboards; dining room fitments; bathroom cupboards and bath surrounds. They will maximise the potential of the most awkward space or build free-standing furniture for flexibility of usage. 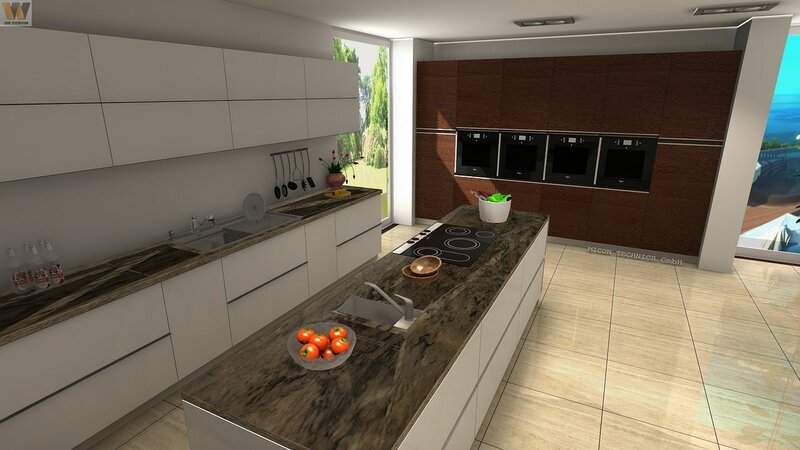 As well as undertaking major projects, Heath Interiors of Hereford will supply kitchen components individually, such as drawer boxes, worktops, or door handles and will source non-stock items on request. They are also able to supply various woodgrain boards which can be cut to size in their workshop – a big help to those with an interest in home improvement and DIY.